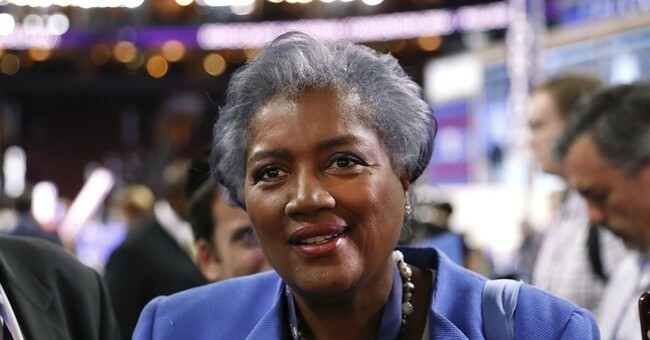 Rush Limbaugh found just the right analogy for the CNN cheating scandal, where (now) former CNN analyst Donna Brazile fed "town hall" questions to Hillary Clinton. It's the quiz-show scandal of the 1950s, where Charles Van Doren was given the questions on the NBC game show "Twenty-One" in advance and looked like a genius on national television. Van Doren later apologized to America, saying, "I have deceived my friends, and I had millions of them." That's not the way CNN and Brazile reacted when exposed by the WikiLeaks emails. In the first incriminating email, Brazile told the Clinton team, "From time to time I get the questions in advance" and shared a question on the death penalty that Clinton would be asked on CNN's March 13 town hall. When the cheating was uncovered, CNN claimed Brazile didn't get the question from CNN sources, but instead from TV One's Roland Martin, who had been a longtime paid CNN analyst. For his part, Martin denied sending Brazile the question. But she had it word for word. Brazile denied the very email, saying, "I never had access to questions and would never have shared them with the candidates if I did." She even deepened the deception by protesting to Fox's Megyn Kelly, saying, "As a Christian woman, I understand persecution, but I will not sit here and be persecuted." Then, on Oct. 31, the other shoe fell, deepening the lie. WikiLeaks released another email in which Brazile promised the Clintonites more town hall questions -- "I'll send a few more." Brazile had also tipped Clinton aide John Podesta before a March 6 CNN debate in Flint, Michigan, that one local woman whose "family has lead poison ... will ask what, if anything, will Hillary do as president to help the (people) of Flint." What was CNN to do? The networks' response was as bizarre as Brazile's was dishonest. CNN claimed it had accepted her resignation on Oct. 14 -- 17 days prior. The "public's right to know" stops at the water's edge of journalism. But why accept the resignation? CNN had a responsibility to fire Brazile for cheating, and it didn't. CNN staged a phony event, and it got caught. So, like good liberals, it's playing the victim card and blaming Roland Martin. Online, a CNN spokeswoman claimed, "We are completely uncomfortable with what we have learned about her interactions with the Clinton campaign while she was a CNN contributor." CNN insisted it "never gave Brazile access to any questions, prep material, attendee list, background information or meetings in advance of a town hall or debate." What about on CNN's airwaves, where it happened? Media reporters Brian Stelter and Dylan Byers -- hour-by-hour fixtures for a Trump scandal or a Fox News controversy -- disappeared. Brazile's name went unmentioned after the news broke around noon on Halloween. On the morning of Nov. 1, it came up again on "New Day" when Republican Rep. Chris Collins raised it, saying, "Your own network, CNN, had to fire Donna Brazile on October 14th, for getting the town hall questions ahead of time, leaking them to the Clinton campaign." CNN anchor Alisyn Camerota changed the subject, asking, "But congressman, how about the connections between Donald Trump's campaign and Russia?" CNN's fraudulent programming and its unwillingness to own up to it on television is another reason why trust in the media is at an all-time low (according to Gallup), and why a new USA Today poll reports that by nearly 10 to 1, the American people say the media want Clinton to win. CNN's reputation has been sullied by this shameful episode. It really is the Clinton News Network.